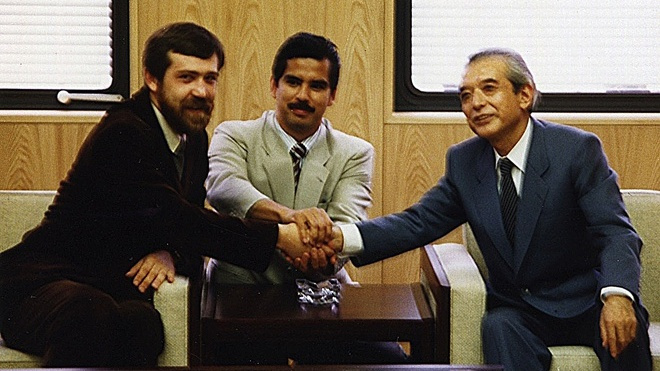 Henk Rogers sitting with Alexei Pasitnov on the left, and former Nintendo president Mr. Yamauchi on the right. At this point, everyone and their cat knows about Tetris; the highscore-chasing, block-placing phenomenon has sold hundreds of millions of copies around the world, captivating the minds of its players for years on end. One cog in the Tetris success machine is Henk Rogers, a game designer known for securing the rights to release the title on dedicated gaming consoles and for bringing the game to North America and Europe, and he's recently sat down with IGN Japan to talk about its amazing journey. The interview itself is in Japanese, so you'll struggle to read it through unless you're fluent in the language, but the article's author Daniel Robson has shared a handful of quotes on his personal Twitter account. In one such quote, Rogers talks about when he saw Tetris for the first time (if you're unaware, 'Go' is a Chinese board game in which players must move stones to claim more territory than their opponent). Interestingly, he also goes on to discuss conversations held with Nintendo, specifically talking about how he tried to convince former Nintendo of America president Minoru Arakawa to pack in Tetris with the Game Boy. You probably don't need us to tell you that these conversations were successful, with Tetris eventually becoming a key part of each bundle's appeal. "I said, ‘Mr Arakawa, you need to include Tetris with every Game Boy’. And he said, ‘Why should I include Tetris when I have Mario?’ And I said, ‘If you want little boys to buy your Game Boy, pack in Mario. But if you want *everyone* to buy your Game Boy, pack in Tetris, because everybody plays Tetris – young, old and male, female. And then you can still sell Mario afterwards and make more money!’"
Telling Nintendo to forget Mario and prioritise the game you're passionate about instead seems like an absolutely crazy idea today, and has to go down as one of the most interesting quotes we've seen in a very long time. Rogers was also once quoted as saying "Tetris made Game Boy and Game Boy made Tetris", and it's pretty hard to argue against these statements when the game performed as well as it did. 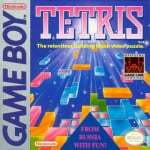 Do you own a copy of Tetris on the Game Boy? Do you consider it to be the masterpiece it's often described as? Feel free to share your thoughts with us below. I remember when a friend of mine at school told me about the Game Boy, and I wanted that handheld and pestered my parents because their answer always was "you already have the computer (MSX)", and I convinced them by saying Game Boy was a handheld and I could take it everywhere. They eventually bought it, and I was looking forward to playing a lot of games I had read about. But not Tetris. Tetris was just the game that came bundled with the console. I wasn't planning on spending much time in it. It stroke me as a boring game, according to what I had understood from my friend and his drawings on papers when we should have been paying attention to lessons. But when I turned the Game Boy on I only had this game because over the next few days I would get a couple more for my saint day (yes, here it's a thing and some families give gifts too, as if it was a birthday, like mine luckily), but at that moment I only had Tetris and had to try it. And boy, was it addictive. I wonder what the chances are of Tetris Effect coming to Switch? It looks incredible! I just realised Tetris probably comes from tetra, which means 4... because everything in the game is made of 4 blocks. I feel like such an idiot for never realising it. @Shiryu "I think we need a Game Boy Mini with Tetris ASAP..."
Personally, I'd prefer a Gameboy with the same form factor, a bigger, better screen and the ability to connect to a gameboy/gameboy advance eshop. That would be rad. And don't get me started with some companies allegiance to Sony, like Konami, which makes them give it a special treatment. Why Arcade Archives' Konami games haven't arrived yet on Switch? Who knows. @Moroboshi876 same here. I never wanted the GameBoy for Tetris but i think it became my most played game on that little machine. It has such a "one more attempt to get a new high score" appeal. Does anybody else find how annoying it is that "Tetris" is the best selling game ever? It groups all the games in the SERIES together, despite how different the games are. I won a Game Boy at the time of it's release. Tetris was amazing. I never ever bought another game for the Game Boy, though I did play a few of my friends. 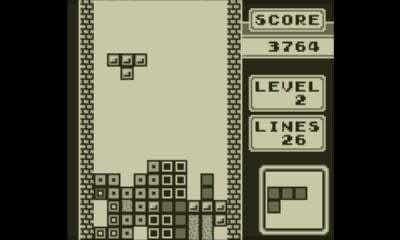 I always felt Tetris was the only game that was worth it though, since I also owned a NES with plenty of games. So to me... Game Boy was Tetris and Tetris was Game Boy. Edit: And boy, do I remember the tetris tune on Game Boy. Magical. #8: Praise the Giant 'Tetris' Playing Machine. Too late, the KGB got to me first! NIET!!! He didn't really tell Arakawa to forget Mario. He told him to make more money. Which he proceeded to do at a hitherto unseen rate for a handheld game system. And really Mario Land is a good little game, but it's not the series' strongest point, and had it been packed in and been extra super successful, sequels wouldn't have been as experimental, and Wario might never have become the star of his own game!! We might have seen a lot more of Daisy, though. It was a very smart choice, especially consider the first Mario game for the system wasn't particularly great anyway. Tetris was basically the perfect game for Game Boy. @techdude I highly recommend Tetris Effect on PSVR. Not played it without the headset yet, but it’s a fantastic experience. You really get lost in it. The first time I booted the game up I got completely lost in it...played for 2+hours straight. I would prefer GB mini and GBA mini next over N64 mini and GC mini TBH. It's just that 3D N64 games and 3D GC games have aged badly and needs an HD remaster for the Switch. @Rhaoulos They are called tetrominoes. Prepare to have your mind blown, but what would a two square polyomino be called? You guessed it, a domino. He's right. When I received my Game Boy I got Metroid 2 and Tetris. I played Metroid 2 loads but my mum got hooked on Tetris. It's the only game she ever really played with the possible exception of Wii Sports bowling and that came nowhere close to the hours she ploughed into Tetris. He was right. Mario sells, but Tetris sells wider and better in that era and even now as that puzzle has just more appeal to a bigger pool. I got the thing for Christmas in 1989, and Tetris every day stayed in my handhelds up until the GBC release of Mario Golf. It got for the first time in a decade kicked out of storage/first game status for that one and only for the time it took me to clear it entirely. I spent so many hours playing Tetris on my Gameboy in the army. GB games were really hard to come by in my country, so Tetris was all I had for a very long time. I'm not sure any other game, including the various Marios of the time, would have kept me glued to it for so long. Definitely the right choice for Nintendo. What really surprises me is that Tetris still has the power to grab people. I bought Puyo Puyo Tetris for the Switch to play with my daughter, and at first she kind of turned up her nose at Tetris, but after a while she REALLY got into it. She won't sit and play it for hours like I used to, but there aren't many things she'll do for hours on end. It would be nice if we could get Tetris Effect on the Switch! @JayJ Sega made Puyopuyo Tetris for Switch so Sony will make Tetris Effect for Switch too. @Pod Mario on the Gameboy is a bit of a conundrum really because Super Mario Land sold incredibly well - more than enough to warrant a direct sequel I'd say. Yet, 6 Golden Coins came out some 2 and a half years later (ish?) and was an entirely different (and brilliant) game. I'm not sure how big a part Tetris played in that... would be really interesting to read about how it came about. One thing that seems blatantly obvious though is that Dr Mario and Yoshi were both attempts to recreate the Tetris moment. Both solid games, but Tetris was in a league of its own. Tetris is simply a gorgeous work of game design that it needs no manual, no tutorial, and poses no language or cultural barrier for it to be easily understood and enjoyed. Pajitnov is quite the genius for creating the game.